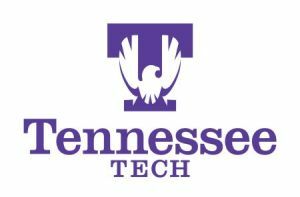 Tennessee Tech University seeks an exceptional leader to serve as its next Dean of the College of Engineering. Reporting to and working with the Provost, and in coordination with the Deans from other Colleges, the Dean will have responsibility for the strategic, programmatic, financial, fundraising, accreditation and management operations that support the mission and vision of the College of Engineering and its role within Tennessee Tech University. • Support and cultivate a distinguished, accomplished, and diverse faculty. • Manage and provide fiduciary stewardship for all College budgets. An earned doctorate degree in a field related to the College. A record of recognized achievement in teaching, research, and service that qualifies for a tenured appointment at the rank of full professor in the College. Significant leadership experience as a department chair, an associate dean, dean or leadership position with similar levels of responsibility. Demonstrated outstanding communication and interpersonal skills. Demonstrated budgetary/financial management responsibility. Demonstrated commitment to a diverse faculty and student population consistent with university policies. Experience with the ABET accreditation process and commitment to accreditation excellence. Demonstrated ability to articulate vision and goals for the College and to develop and realize a plan to achieve these in conjunction with the faculty and other administrative leaders. Ability to promote the College for its accomplishments, capabilities, areas of interests and needs to a broad range of external constituencies. Demonstrated ability to lead and grow a robust research program. Ability to lead sophisticated and effective development and fundraising activities. Demonstrated ability to lead by consensus and with transparency. Commitment to both undergraduate and graduate education. Non-academic work experience and/or significant interactions with industry, government, or industrial or government advisory boards. Typical hours are Monday-Friday, 8:00 a.m. - 4:30 p.m. Additional hours if/when needed. Salary Commensurate with education and experience; Executive Pay Grade EX33. The University offers a competitive benefits package. Benefits include the accumulation of two vacation days per month and one sick leave day per month, and thirteen University holidays. Other benefits include medical and life insurance (shared cost with the university), retirement, optional 401k, and educational benefits. Applicants will be required to electronically upload a letter of application not to exceed five pages addressing the qualifications, interest in the position and philosophy of leadership, management, education and research; curriculum vitae; and names of four professional references with titles, mailing addresses, phone numbers and email addresses. Individuals who wish to nominate a candidate should submit a letter of nomination, including the name, position, address, telephone number and email address to Dr. Paul Semmes at PSemmes@tntech.edu. Additional information can be found at https://www.tntech.edu/provost/dean-searches.